A new press shot of the upcoming Microsoft Lumia 650 is now out of the leak factory, courtesy of @evleaks. The photo shows the front of the device, which is rumored to sport a 5" 720p display and either a Snapdragon 210 or Snapdragon 212 chipset. 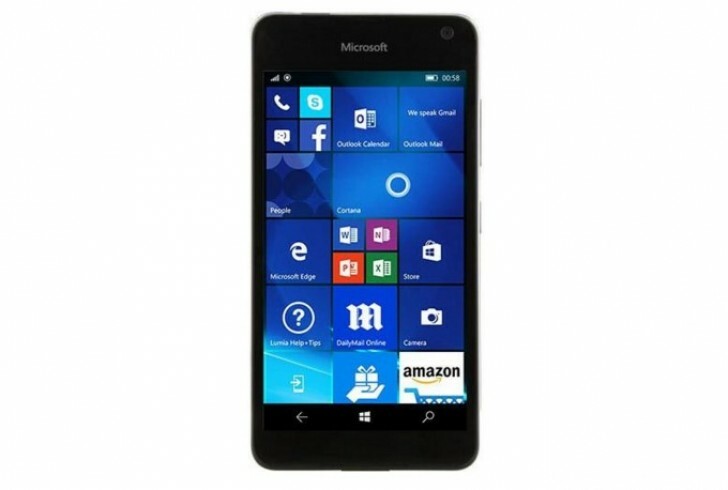 Visually, the phone will look just like the Lumia 550, save for a metal frame, which add some extra polish. This isn't the first time we see a press shot of the phone, as it leaked in white and the phone even went on pre-order by mistake last week. Back then, the listing revealed the full spec list showing an 8 MP rear camera with LED flash, a 1.1 GHz quad-core processor, 1GB of RAM, 8GB of expandable storage, Wi-Fi, Bluetooth, GPS, and a 2,000 mAh battery. It runs Windows 10 Mobile, naturally, and weighs 150g. Expect the phone to cost about $199 unlocked in the US, while in the Eurozone its price could be something like €199. Most probably, the phone will go official at MWC 2016 at the end of the month.